Choosing the best hiking boots for women is a confusing and sometimes expensive proposition until you find the pair that makes your trail time comfortable and safe. 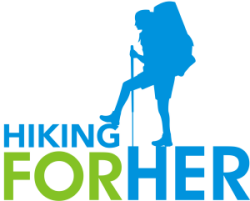 Hiking For Her is pleased to bring you this Ultimate Guide On Choosing The Best Hiking Boots For Women, brimming with facts and specific advice, written by James Menta of Solelabz. It's not often that you have a chance to read pearls of wisdom from a hiker who also happens to be extremely knowledgeable about choosing the best hiking boots for women. Soak up this wisdom, and then apply it to your next boot buying expedition. If you have narrow feet, skip over to these tips on finding the best pair of womens hiking boots for you. Disclosure: There is no affiliate relationship between Solelabz and Hiking For Her. The only intention of this guide is to bring you reliable information on how to choose the best hiking boots for your hard working feet. All images on this page belong to Solelabz. “A single step is the beginning of every journey”. Knowing that the average adult takes between 4,000 and 6,000 steps every day (it’s a given that serious hikers take many more), really puts the footwear choice into perspective. In the guide, we’ll especially focus on the difference between choosing the right hiking footwear for him and her. With so many options on the market, you really need to get your hiking boots ABCs down in order to make a completely informed choice. I’ll pack this guide full of tips to get you there. All you have to do is take that first step. Our feet are incredibly strong and delicate at the same time. That’s why you want to complement them with the best pair of hiking boots you can possibly find. 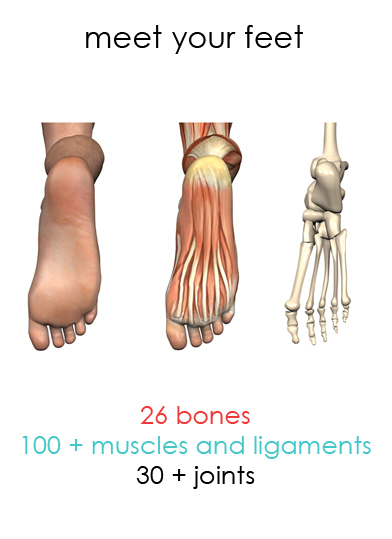 26 bones (one foot), that’s 52 in boot feet which make for about 25 percent of all the bones in the human body. So, ¼ of our entire skeleton is in our feet. Little known fact is that if those bones fall out of alignment, the rest of the body will quickly follow. The soles of our feet contain more sensory nerve endings and sweat glands (250 K) than any other part of our body. Women have 4 times more feet problems than men. Especially the active women, like hikers. The good news is we can prevent all of those issues by simply picking a good pair of hiking boots. But we’ll start “barefooted” for now by addressing some male/female feet differences. A woman's foot is not a smaller version of a man’s foot. The first relevant list I found was published in the Journal of American College of Sports Medicine. Women have thicker ankles and narrower heels than men (proportionally to size of the foot). Their ankles are ¼ “closer to the ground. Their toes are smaller and thinner. Female calves are higher and thicker. Of course, female feet are smaller in proportion to male feet. One study showed that 90% of women in the US wear shoes that are half an inch smaller than their foot size. They try to avoid the “slop” effect in the ankle area and go smaller than they should. We’ll talk about proper fit at length later, though. With that out of the way, we can start dealing with some specific footwear qualities, tips and recommendations. Some hikers use trail running shoes and tactical boots as an alternative to heavy duty hiking footwear. You can certainly get away with it if you’re a seasoned hiker (I’ve done it myself). If you’re just starting out, however, I wouldn’t recommend these kinds of hiking “acrobatics”. 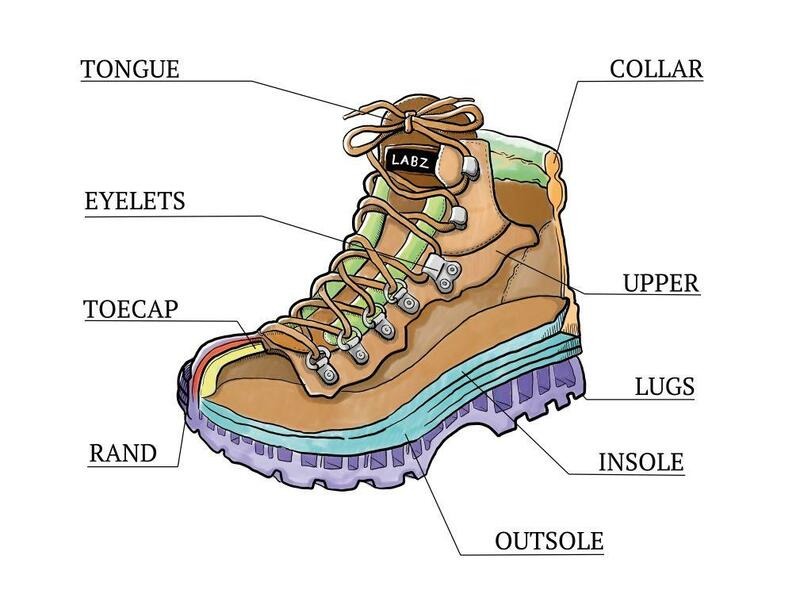 Let’s delve a little deeper and take a peek at the anatomy of a hiking boot. The upper material will influence some key features of your boots. I’m talking the overall weight, durability and water-resistance. Leather – We have to differentiate between full-grain, split-grain and nubuck leather. Full-grain features good resistance to abrasions and water alongside unparalleled durability. Split-grain is a mixture with nylon mesh for extra ventilation and lighter weight. Nubuck resembles suede, and it’s considered to be a “buffed” full-grain. Synthetics –They dry up really fast, they’re lightweight and cheaper than leather. They also have little-to-none break-in time. Vegan – These uppers are made of vegan-friendly materials meaning they don’t feature any animal by-products and ingredients. They are the parts between the outsole and the footbed of the boot. Their main purpose is shock-buffering, but they also give additional cushion to the boot and determine its stiffness. EVA – Short for ethylene vinyl acetate, this is the lighter and more flexible option of the two. It’s also cheaper. Polyurethane – Firmer, rigid and more durable. These kind of boots take way more time to break-in. Rubber has proven to be the best material for the outsoles of hiking footwear. Heel break – The name gives it away pretty much. It’s a lugless, specially designed heel area found in hiking boots for better downhill control and stability. Without beating around the bush too much, you want your hiking boots to fit. End of story. This is just top of the list. We can mitigate and prevent all of these by finding the boot that fits just right. Feet swell up during the day, so do your shoe-shopping in the afternoon and wear the socks that you plan to wear on the trail. If you use any orthotics, bring them along and try the boot with these inside. Pull the footbed out and compare it to your foot. Do they match in length/width? There should be enough room for your index finger between the back part of the boot and your heel. As you lace up, feel if your foot is moving forward (it should). Your fingers should have enough room in the toe box area. They also shouldn’t touch the front end of the boot. See how the boots feel when you walk all laced up. If the back part of the boot rubs on your heel, you need a different size. We’ve answered some serious questions today. Somebody once told me that a dream about shoes means you’re down to earth and well grounded. Well, those are the same qualities that make a good hiker. I can’t be laser precise on what boots/shoes to get but I hope we took a step in the right direction in this guide. If there’s one thing that you should take away is the seriousness of the decision of footwear choice. Choose wisely and stay safe. And then take good care of them to make them last as long as possible, using these tips.